The horses…they are always deserving. Sometimes we say “yes” because we just can’t say “no”. Sometimes we say “yes” because the people are deserving. For over a year and a half, a Good Samaritan…good person…fed a starving, stranger’s horse. Her act of loving compassion and humanity erased the horse’s ribs, distrust, and dull eye, replacing all with curiosity, and better…hope. The Good Samaritan was joined by a kind-hearted detective who helped by supporting the good deed with the weekly purchase of food…even a blanket…as the horse they named “Hope” had no shelter, no refuge, and certainly no companionship other than daily visits from well intended human friends. The detective even tried to help Hope through using her network, but because the young mare was now being fed, there was nothing that could be done. 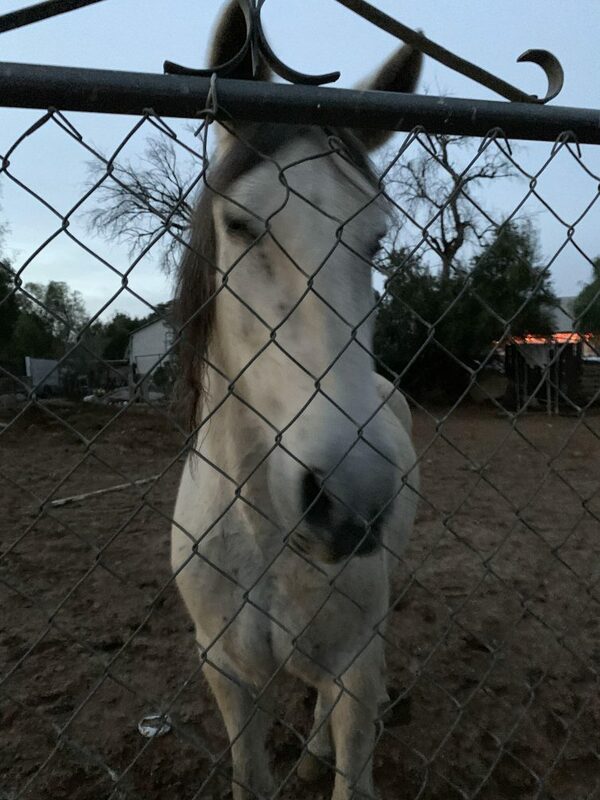 When the kind detective called us, we helped develop a plan to bring the high-risk, unhandled and unsocialized Andalusian mare to Red Bucket for the promise of training, safety, love, and ultimately a forever home of her own. We are calling her Sylvee for short…she is smart, grateful…and safe! Please join us in welcoming Sylvee…and please join us in profoundly thanking all those who link arms with us in helping horses like Sylvee get a second chance! Donations toward Sylvee’s care and training are most deeply appreciated.